Bedroom is a wonderful room to bring together a color pattern that fits your mood or which can really bring a perfect appeal to your room.The colors of a space possibly have the major first influence on how you feel in that area. 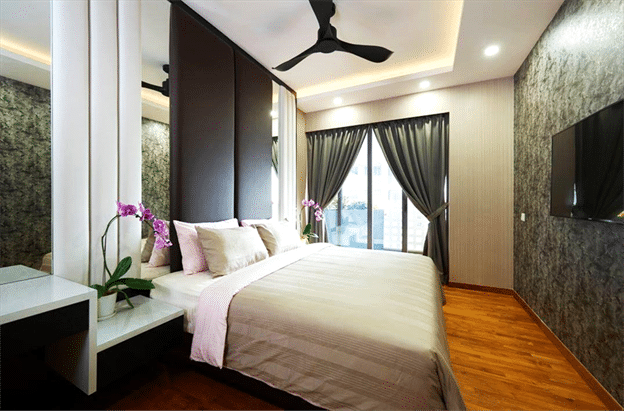 Here at Renopedia, we will take a look at some gorgeous bedroom color schemes which you must consider for your home. 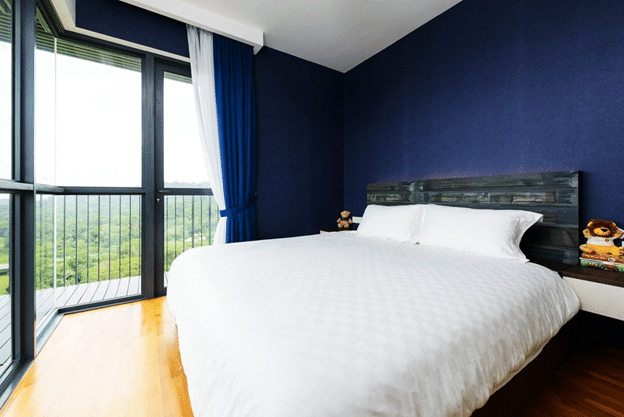 The amazing color pattern can add a unique charm to even your simple bedroom as shown in the above picture designed by Starry Homestead, the simple room design really looking pleasing due to perfect blue accent color. The dark blue color brings perfect bling to this room with matching curtain and fabulous wood flooring. You can play with different bright colors schemes in your bedroom as well, the perfect blend of blue and green color add freshness and live to this bedroom designed by Free Space Intent. The complementing bedding designs and colorful chairs give a flawless colorful statement to the room. 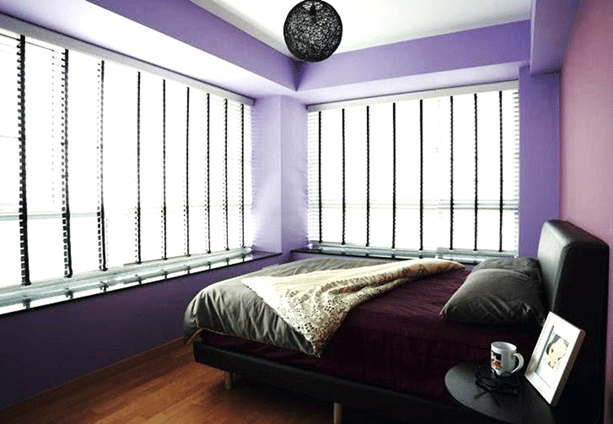 The most elegant color purple can look perfect in a bedroom as well, this beautiful color really brings charming appeal to this simple room designed by Fuse Concept Interior with superb wood flooring and lovely long windows. The dark gray color with black and lovely gray textured flooring makes a great color scheme. 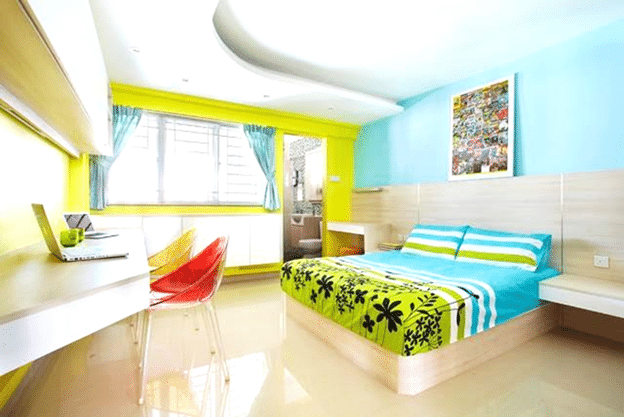 This simple room designed by Versaform looks stunning with the perfect addition of these lovely colors. The black color with white and perfect rustic color makes a lovely color scheme. The black wallpaper TV wall brings a great statement to the room with stylish bedding design.